Can feral cats co-exist of even happily live with humans? Can feral cats live inside? Can they learn to live with any human, even if it be just the right one? Ferals are known as wild, not domesticated cats. While there may not be any empirical scientific evidence that would say, ferals can learn to live with humans, Paws shares some factual stories that say they can. It took over 4 years for this kitty to allow her belly to be rubbed. Anne Panarese and Paul Lyons at the Sanctuary at Sebago, Maine, ‘On Behalf of Challenged Cats’ and HART (the Homeless Animal Rescue Team in Cumberland, Maine ) are two examples of places where feral cats can peacefully co-exist inside, and in some cases even learn to love their human caretakers. Feral cats are afraid of humans. They are timid and fearful. They can’t be socialized and are not suitable to living inside or with people. They will crouch and look not look at you if you contact them. On the contrary, strays, that were once household cats, have a different body language. They will look at you with their tail straight up. At HART, we find the first room on the left has some true ferals; others are just stays that have become afraid of people. There’s plenty of room for them to hide when a scary human comes in to feed them. There are litter boxes galore, and their rooms are cleaned daily. 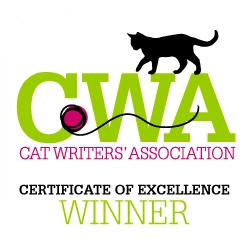 The cats seem to get along fine – probably because they have been spay/neutered, preventing the tendency to fight over their sought-after mates. The ferals also know food will always be there, and that changes the personality of the cat. Some have been there since HART’s beginning in 1997 when they were located in a barn. In 2004, a state-of-the-art new building was constructed with several rooms designated for specific cat personalities and mannerisms. Here we find lots of towers and boxes for hiding. We find a Turkish Angora senior, who is totally overwhelmed and cage aggressive. The volunteer tells us, ‘This is a quiet place.’ There’s another senior orange tabby Chandler, and one-year-old Cooper. Four or five of these cats are true ferals. The others are skittish and need quiet. Some have come from Friends of Feral Felines (FoFF) through their trap, neuter, return program of local cat colonies. 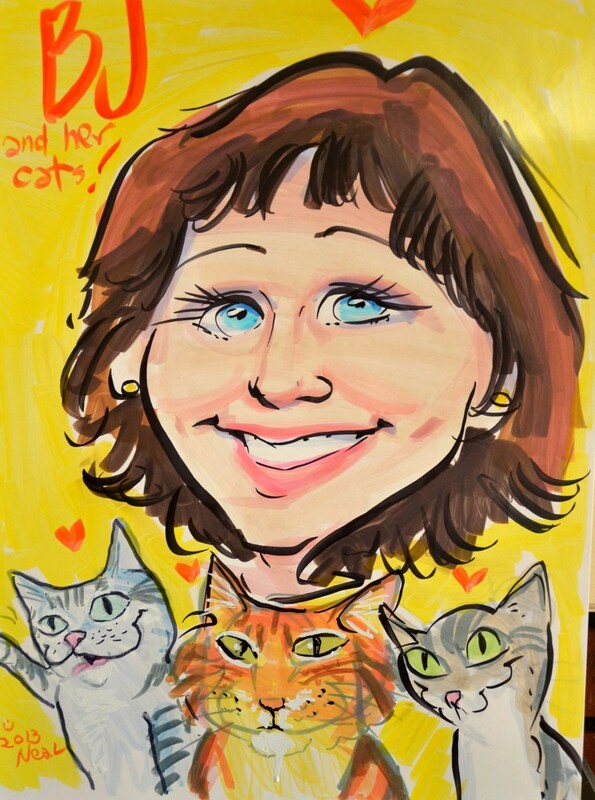 Anne Panarese has been helping trap feral cats for years. 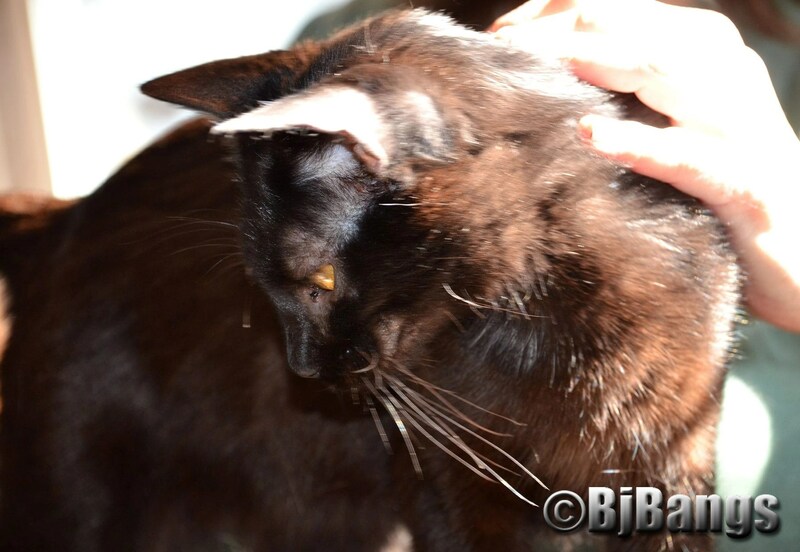 She and Paul have about 9 ferals living in their home in Sebago, Maine. Most of these cats were considered feral. Today, many will approach her daily for their snuggle time. There’s Betsy Mitchell, who has been a guest at Panarese’s sanctuary for 6 years. She comes up for her belly rub. It’s taken almost 5 years for her to get to that stage. Some of the ferals shrank and hid at the sight of Paws coming to do a story. Others would peer our and come out for awhile. Others wanted to hog the show and be center stage for the photo opps. 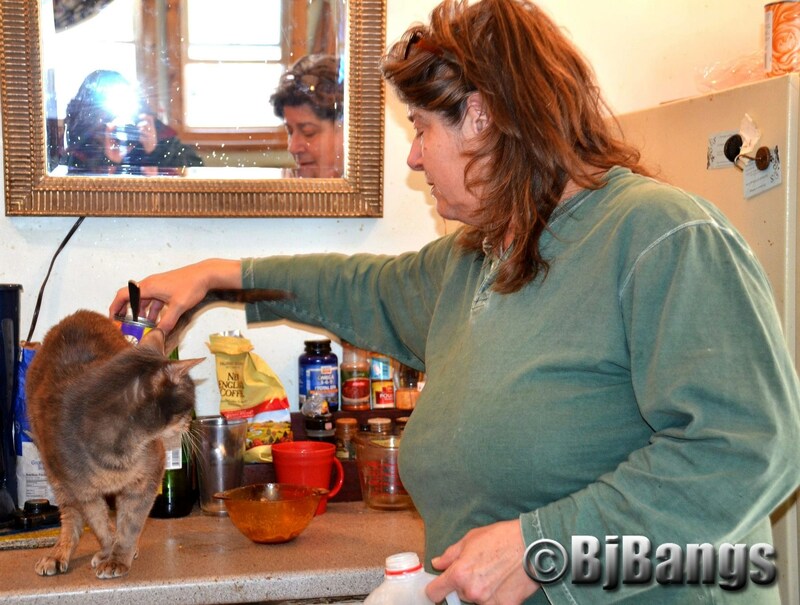 Panarese demonstrated how she gives pills, syringes, ear treatments, and more to these ‘wild cats’. 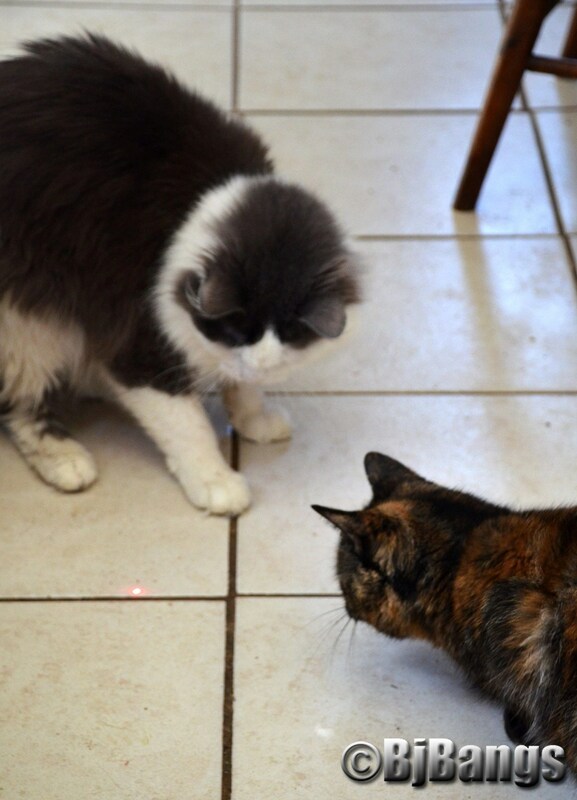 She gets out the laser, and about 6 kitties start romping for joy, chasing the red light and each other to have their fun. Still others sit peacefully in the window. A couple pose for photos, and even let Paws’ mom pet them. Panarese claims many of these cats were just strays and had learned to be feral for survival. You can tell when you trap them, she said. If they look at you, they are not truly feral. If they don’t go into attack mode with their tail, and it goes up, they are not truly feral. Because there’s so much snow on the ground, Panarese’s cats are living inside the house with the run of the downstairs. We re-connect with James Bond, a beautiful black and white long-haired cat we’d met about 4 years ago. The little grey one was so scared when we first visited, he was hidden underneath the bed. Some 4 years later, he was sitting on the cat tree, and willing to play, in front of this human. This once wild cats are no longer afraid of this human. Panarese claims with time, patience and enough tender loving care, any feral will come around to the right individual. Not all people are cat people, and the cats know it. These cats can learn to trust again, she said. It takes time. They may not snuggle up in your bed every night, but they do learn to choose who to trust, and who not to trust. Some of her cats do snuggle, and hang out on the bed. If there is any scientific evidence that ferals can learn to live with humans, Paws would like to share that information. It kind of crosses the line to the humans that can successfully live with wild animals, but not quite. This conversation truly brings Paws to the fact, that over 70 percent of all ferals taken to animal shelters are euthanized because they cannot be adopted into homes. Paws does not advocate that these cats go into the traditional two children family with a pristine house, nor do they go into an elderly person’s home. But we do wonder whether all these cats need to be euthanized. We do wonder if more sanctuaries like Panarese could help solve the feral cat problem. Please weigh in with your thoughts and stories. Anne and Paul are truly wonderful human being. There aren’t many people (or groups) willing to house feral cats because they are not adoptable. I trapped 3 kittens several years ago but was lucky enough for them to become part of my family. I currently feed a feral adult cat. She comes to eat every evening and spends the night, but bolts if I try to talk to her. Nice story. Thank you Kathleen, lots of shelters and rescues for the friendlies up here. I do take them in to help with spay/neuter and out to homes but my favorite are the fraidys and ferals. So much love there and each step they take is just sooooo rewarding. They are amazing creatures. Working with a semi feral from SPCA right now. Her name is Snow White, I believe she was born feral but got picked up. She was pregnant and she had her kittens and they were handled and all gone out to homes. She was a young mother and never learned play time. She is adjusting well, still afraid of strangers but she now plays with toys and is being accustomed to be patted. Interesting article. Unfortunately most shelters don’t have the time required for ferals and people like Sue are few. In my home I have a young feral girl who decided living inside was preferable. She won’t let me handle her, she let’s me pet her, but she’s always in the room I’m in. If I come home late she complains with the rest of the klan. She just walked in one day when I went out to feed the ferals. She ran back out when I went to close the door, but for several days she repeated this examination. Then one day I held the door for her to run back out, but she stayed. I know she’s “my cat” in her own way, but she doesn’t want a cat/human relationship with me, she just wants to be around her own. I respect feral cats and see them as wildlife. With my body language I show them I am no threat, just another creature getting by on this planet. Most of my ferals are comfortable around me, even happy when it’s spring/summer and I’m out in the yard. Hi, I too have adopted feral cats that I was feeding. It took some time and patience but they not only trust me, you can’t distinguish them from a domestic cat. They sleep with me, follow me around like puppies, sit on my lap, play with me, talk to me, etc. They are just like any other cat with me. It took me on average 2-4 months of outdoor feeding and coaxing them but before long they would follow me up and down the street. I looked like the Pied Piper for awhile. From there it was just more small steps to being able to handle them and get them into the house for ‘re-education’. 🙂 I have been able to get many of them spayed/neutered and rehomed. So I disagree with these folks that say ferals cannot be tamed. I think that comes from people that either can’t or don’t want to put in the time and patience it takes. Hi there, I work with ferals and fraidy cats here and I can tell you that feral cats can indeed live with a human that they trust and learn to trust that human. I have nine ferals that live with me in my house. They respect me and I am their servant. Some of them learn to trust me to the point that they actually come around as a pet, some are just aloof but live quite comfortably here. They don’t run and hide from me, they just keep their distance, they are curious about what I do around them. 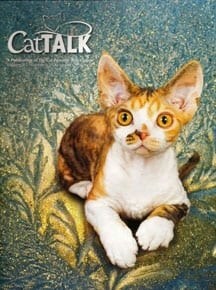 Next story How do cats fare around the world with so much war, violence & starvation?